The Techno Gym Recline 700 is designed to be accessible by all users, by providing a wide walkthrough space between the front and back ends of the bike. The Recline Excite has always been the alternative cycling experience of choice for those who want a moderate cardiovascular workout, and as well for those who have limited mobility. 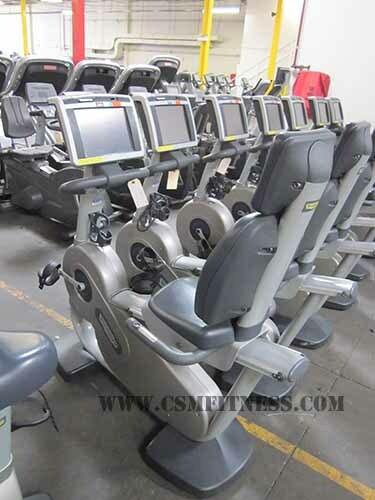 This recumbent bike includes a simple back adjustment lever, which can be used while the user is seated, so every user can quickly find a comfortable position for his or her workout. It also includes wider pedals with adjustable straps, which provides users with stability and support during their exercise. The recline 700 provides constant heart rate that is monitored using the hand sensors. The level of training intensity can be set based on heart rate.